Socioball ($2.99) by Yellow Monkey Studios Pvt. 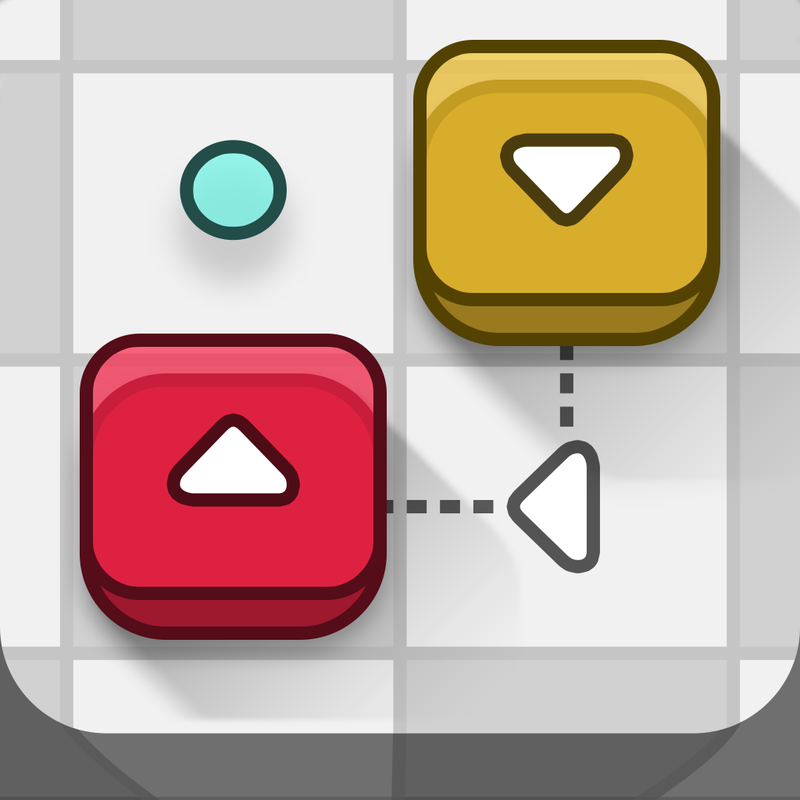 Ltd. is a new puzzle game that will make you think, get creative, and share your own creations with others. 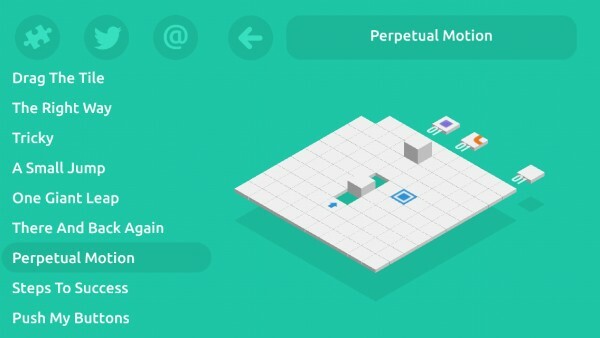 If you enjoy games like Perfect Paths and Trainyard, then Socioball will be right up your alley. When I have some time to spare, one of the things I love to do is sit down with my iPhone and enjoy a good, stimulating puzzle game. Even though I’m not doing something productive at the time, I still like to keep my brain going, which is why I find puzzles so enjoyable. 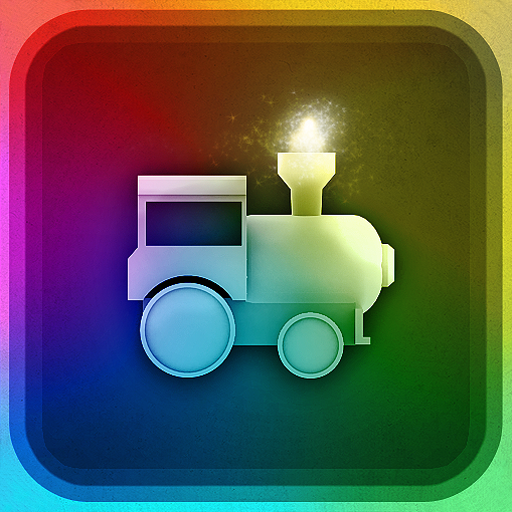 With the App Store, puzzle games are a dime a dozen, but I still like to find the new ones that hit the App Store. In my weekly perusal, I stumbled on to Socioball, and was intrigued from what I saw in the screenshots. I’m glad I found it, because it does not disappoint. 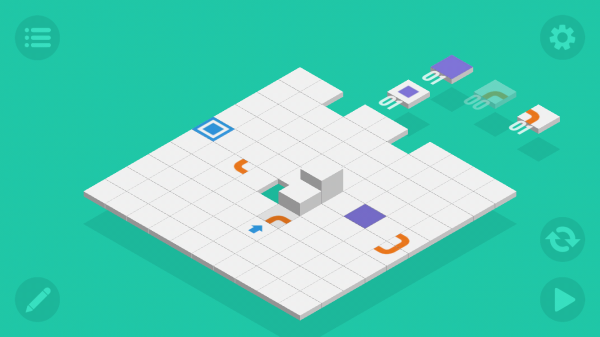 The visuals in Socioball have the elegant minimalism look and feel to it, which I adore. Because of this aesthetic, it fits in well with the overall look of iOS, which is always a good thing. The colors used in the game are soft and appealing to the eyes, with the mint green background and white game board contrasting nicely against it. Each of the tiles that you can place on the grid are marked and easy to understand their functions as you go, and the starting and end points of the level are made clear. 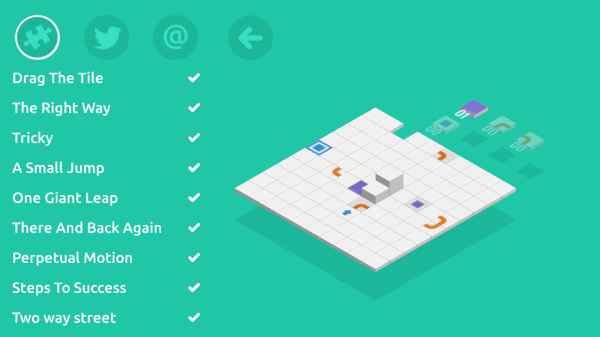 Socioball is straightforward and intuitive to play, making it a fantastic puzzle game for anyone. Animations are smooth and fluid once the ball gets rolling, and the game has a soothing ambient soundtrack that is delightful to listen to. 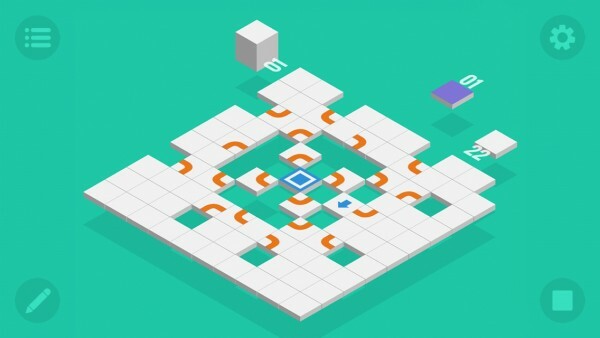 Socioball is based on levels that you must solve in order to advance, and the initial download comes with over 60 puzzles from the developer. However, if you choose to link up your Twitter account with the game, you’ll be able to play an endless supply of user-generated puzzles that have been shared on the social network. 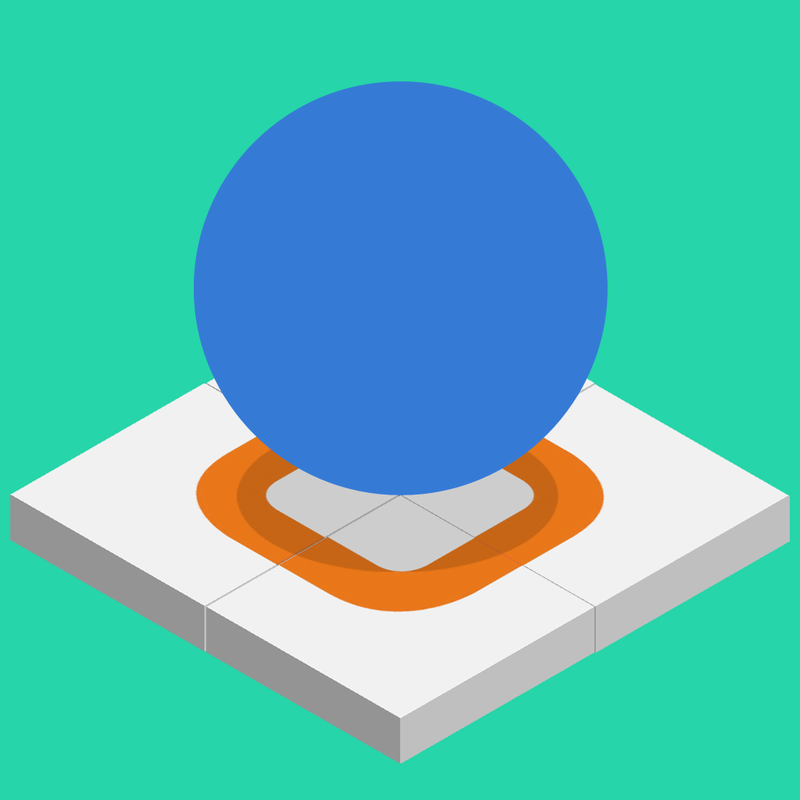 Regardless of the source, the objective of Socioball is to get the blue ball from the starting point (indicated by the blue arrow) to the end point, which is the blue square tile. It sounds simple enough, right? 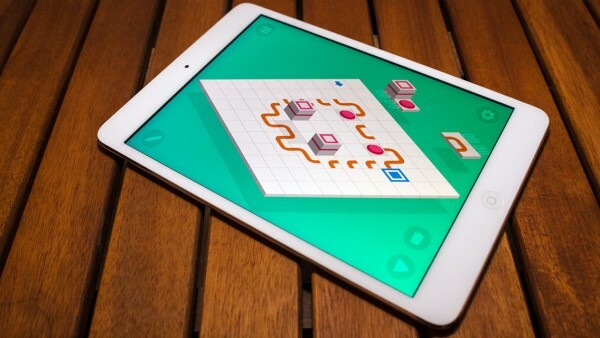 The game does start out easy enough, where you just lay out more basic white tiles to create a path for the ball, but as you go, you’ll find that things are not so effortless. There will be empty spots that you can’t place a tile in, so you’ll have to figure out another way. 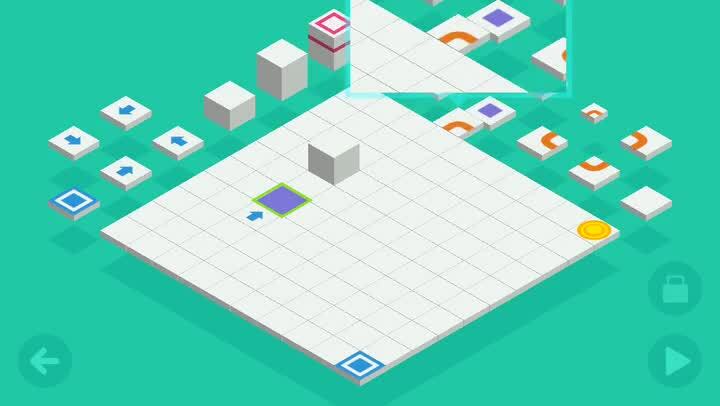 Socioball introduces new tile types at a gradual pace, such as direction-changers, launching pads, buttons and trigger tiles, tall blocks, teleporting pads, and much more. 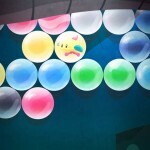 Each puzzle will have empty spaces on the grid, and there are a few pieces around the top of the screen that you must utilize in order to get the ball to the goal. To put them on the board, just drag them with your finger into an empty slot. 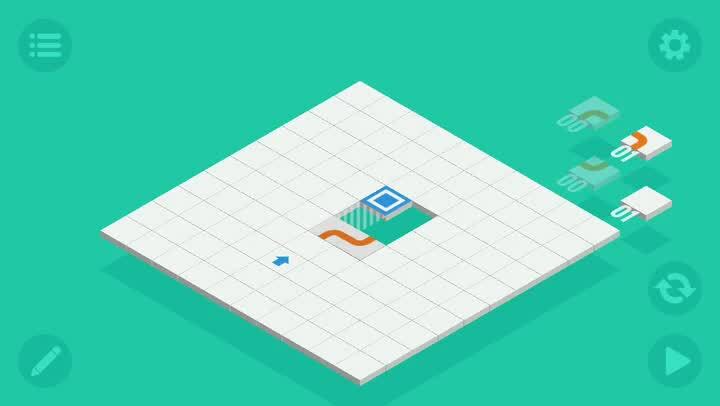 While you’re figuring out where to put them, Socioball has a nice magnification feature so you can be precise with your tile placement. Once all of the tiles you think you need are in place, just tap on the “play” button in the bottom right corner to see the puzzle in action. 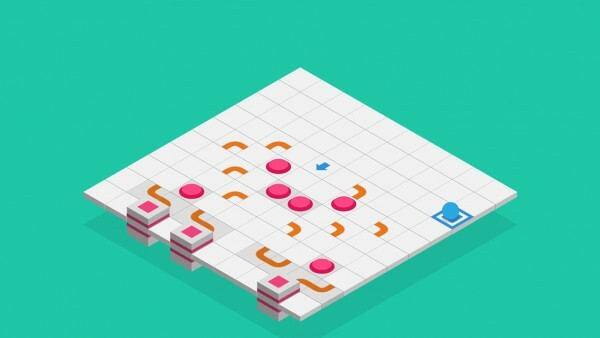 Socioball is a puzzle game that will involve a lot of trial-and-error, especially in the later levels. 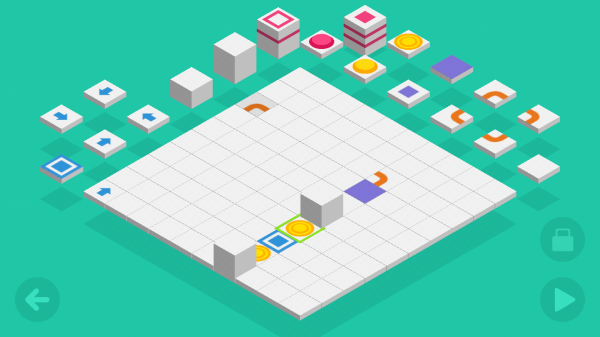 The magic behind Socioball is not just the puzzles that are available to you right now, but the fact that you can even make your own with the game’s Level Editor. To access it, you can just tap on the pencil icon in the bottom left corner. You are given a blank slate for the board, and all of the available pieces in the game are at your disposal. Set your start and end points, then plan out the obstacles in the way of getting there. You can keep checking your progress as you go by tapping the play button in the corner. Make sure at least one tile is unlocked, give it a play test, and then you can name your level and tag your Twitter friends, then share it with all Socioball players around the world. 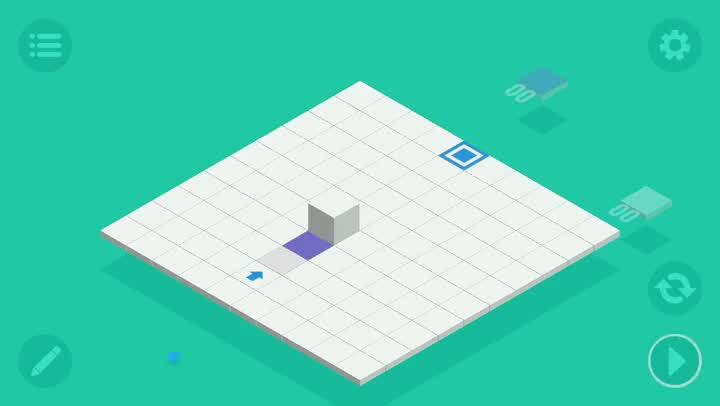 As a big fan of puzzle games, I’m enjoying Socioball so far. The graphics are perfect for a mobile puzzle and the music is calming, helping me focus on the game. The gameplay mechanics are challenging and fun to learn as well. The levels that are included with the download are a great way to teach you the basics of the game at a gradual pace, but the real fun is in unleashing your creativity and making your own levels, as well as playing those from other players. 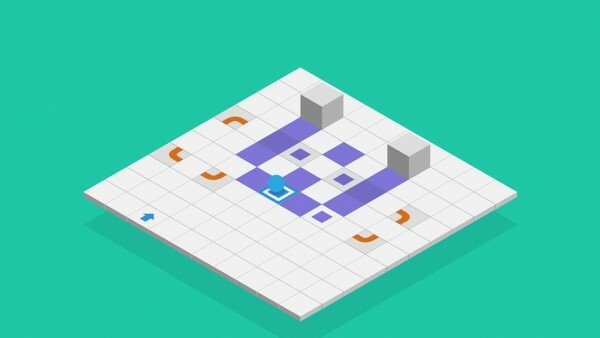 I highly recommend checking out Socioball if you are a puzzle game fan. You can get Socioball on the App Store as a universal download for $2.99.